This has been quite the winter for the southern states in Australia – snowfall, sleet and serious wind chill factors. Brrrrrrr! That’s frost, people. In the inner city. On days and weeks like these, many of us retreat to the comfort of our old faithfuls, and judging by what’s on the Melbourne streets this winter, the one indispensable item in many wardrobes is the cowl. There are almost more popular as scarves some days, and it’s easy to see why. Oversized ones can be wound and unwound depending on the amount of warmth needed, and the smaller ones tuck away neatly inside shirt collars or boat-neck /V-neck jumpers. 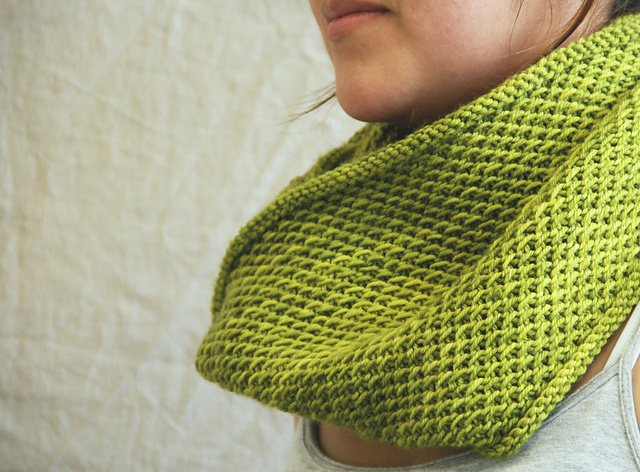 Cowls are also one of the easier things you can make – they are perfect beginner projects – and easy to make your own. Take a tip from some of the most loved cowls on Ravelry, each of which uses one stitch and one yarn to full effect. 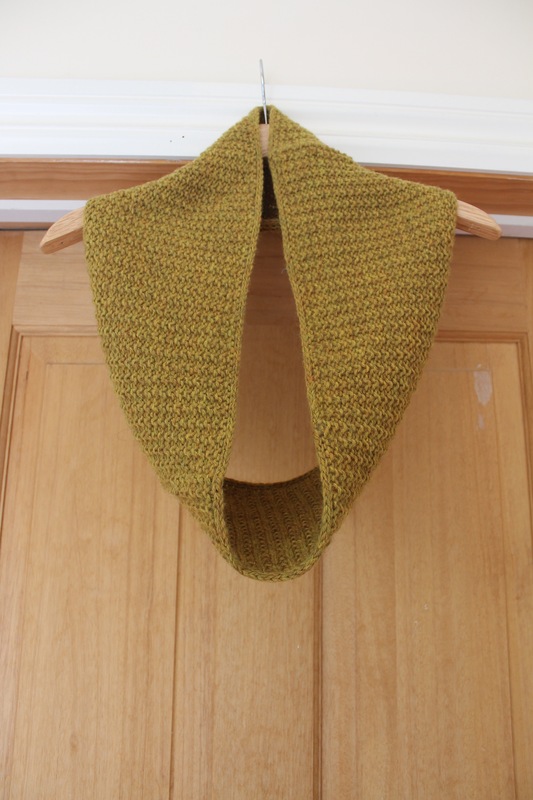 Two of the more popular on Ravelry are the Honey Cowl, which has had nearly 20,000 makes, and the Gap-tastic Cowl, which is big, bulky – and knits up quickly. Cupido is a slipped-stitch beauty that looks almost lacy. So, here’s a cowl that we’ve come up with instore that celebrates one-stitch wonders – and it’s entirely reversible. Knitted in broken rib/rice stitch, the allover pattern on both sides feels nubby on one side and lightly waffly on the other. 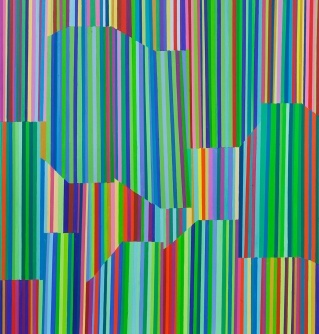 Best of all, it needs little to no blocking, unless you want to open up the pattern a little – it lies flat on its own. 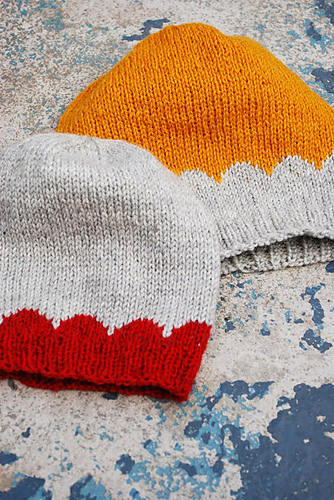 The ginger-coloured version (shown on the rice stitch side) uses just one skein of Cascade 220 (colourway Birch Heather), and is knit on 4.5 mm needles. It measures 16 cm (6.25 in) high by 100 cm (40 in) around. 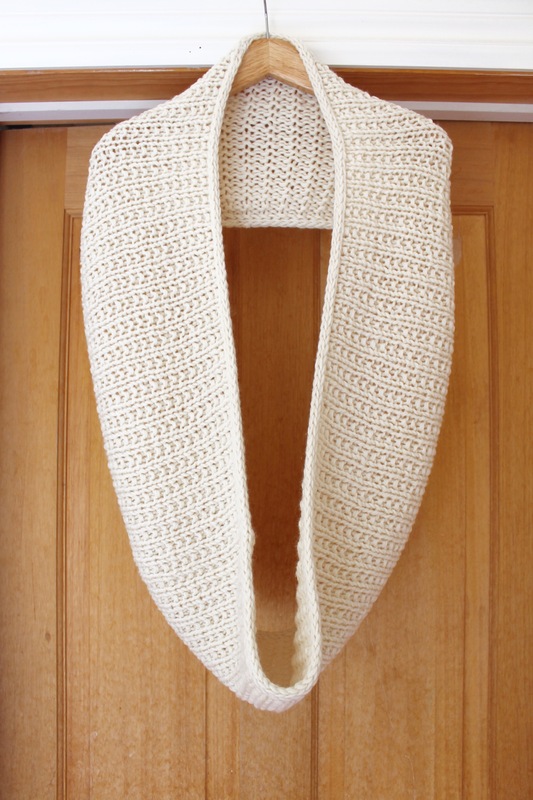 The cream-coloured version (shown on the broken rib side) is knit with the yarn held double on 9 mm needles. It takes 3 skeins, and measures 25 cm (10 in) high by 152 cm (60 in) around. You can use your favourite cast on, or follow the pattern for an i-cord edging. Both these samples are instore, as is the pattern, which sets out all the details and options. Or, if you want to have a go at making your own, there are many online stitch dictionaries to help, such as New Stitch a Day, Knitting on the Net or just google. Stay warm! Categories: Knitting | Tags: cascade, cowls | Permalink.